In our recent trip to GlobalFoundries Fab 8, its leading edge facility, we managed to spend some time with the C-level executive that controls the future of this part of our industry: Dr. Gary Patton. 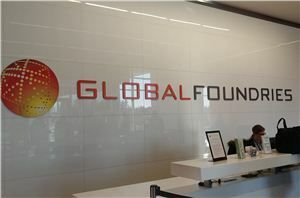 Gary is the Chief Technology Officer, overseeing all of GlobalFoundries research and development, pushing GlobalFoundries towards the next generation of processes for its customers. This includes the current 14nm processes used by AMD and IBM, the new 12nm process for AMD’s 2nd generation of Ryzen CPUs, and the future: multiple generations of 7nm, some of which will have EUV for the critical layers. This list covers Fab 8, but Gary also oversees efforts across the company including the FD-SOI programs (22FDX, 12FDX) and RF related technologies.